DC may be fairly new to the current generation of superhero movies, but they have a couple of secret weapons named Batman and Superman. While Batman v Superman: Dawn of Justice is still a very early chapter in Warner Bros.' DC Extended Universe, the movie is already breaking records and it isn't even out yet. They’ve already pre-sold more movie tickets on Fandango than any other superhero movie in history. 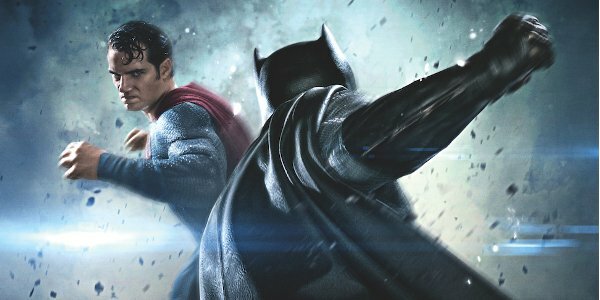 According to The Wrap, movie ticket site Fandango says that Batman v Superman: Dawn of Justice has already sold more tickets than previous big hits like The Dark Knight Rises and Avengers: Age of Ultron, both of which did more than $1 billion at the global box office. While Fandango hasn’t said how much business Dawn of Justice has already done, whatever the number is will be a huge boost toward a massive opening weekend, something Warner Bros. is really hoping to see. The film is planning a near global opening, which has estimates for the film’s first weekend as high as $350 million dollars. The numbers also put recent box office returns into sharp relief. Fandango says that 90% of the tickets the company sold for this coming weekend were for Batman v Superman: Dawn of Justice. Here's he caveat: this record is limited to superhero films and obviously separates it from other pre-order bonanzas like Star Wars: The Force Awakens. That movie didn’t simply break pre-order records, it took the records out behind the barn and beat the crap out of them. It doesn’t look like Star Wars should be worried that their record will be broken in the next couple of days. Still, there are a couple of days left, so Batman v Superman: Dawn of Justice has some time to pile on its new record and see how much more business it can do. Still, this record does show that the public has some pretty strong faith in Batman v Superman: Dawn of Justice. The Dark Knight and Avengers franchises had ample opportunity to prove themselves before their sequels hit the screen. The DC universe is still a relative newcomer. It does show what power the two biggest names in comic books, Superman and Batman, can have when they’re in the title together for the first time. Early reaction to the movie has been mixed, so time will tell if fans feel they spent their money wisely by buying in so early. Have you bought your tickets to Batman v Superman: Dawn of Justice yet? Will you be buying early, at the door, or waiting for reviews before you purchase tickets at all?